Mainz's social media team got ahead of the crowd by trolling themselves following a 6-0 hammering at the hands of Bundesliga champions Bayern Munich. 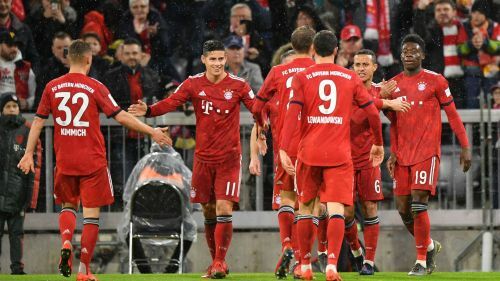 Bayern returned to the top of the table on Sunday, with James Rodriguez scoring a hat-trick as Niko Kovac's side bounced back from their Champions League exit in style. But rather than wallow in defeat, Mainz at least decided to poke fun at their performance, tweeting "M̶a̶i̶n̶z̶ ̶0̶5̶ Mainz 06" at the final whistle. The tweet may have risked the wrath of some of the club's fans, considering Sandro Schwarz's side have now lost six of their last seven league fixtures, though they sit safely in mid-table.